Lex Kuhne | 60 Second Blog: Are you Ready for some Playoff Baseball? 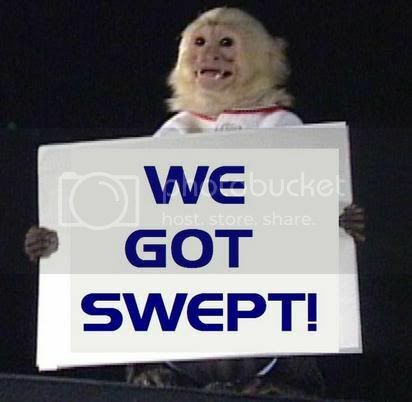 Pro: No appreciable Rally Monkey action in Anaheim. Con: Hating TBS cobbling together enough chemistry-less announcing crews to handle the most important games seasons, instead of, say, ESPN. My punishment: wishing upon Bud Selig a Milwaukee - Tampa Bay World Series, which would be so low-rated that fetuses would escape wombs in order to turn the channel on the TV.